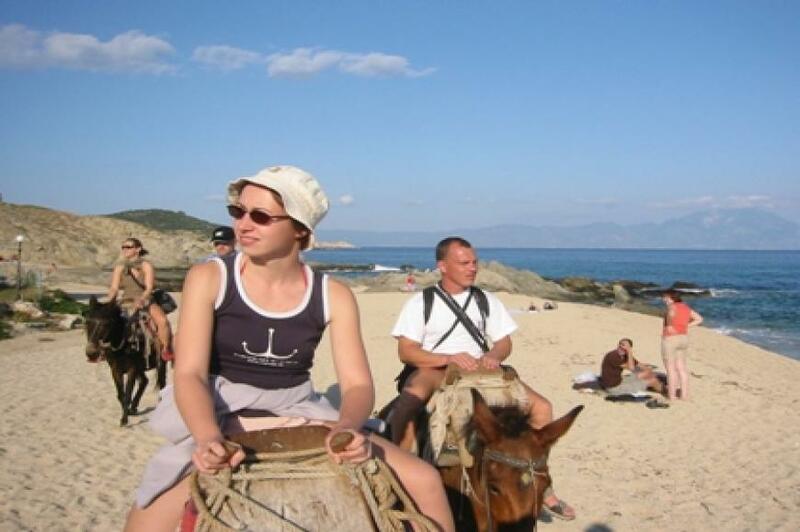 Sithonia’s beaches are famous all over the world for sure. You can spend all day on the beach enjoying the sun and swim. How about trying something different for a day? 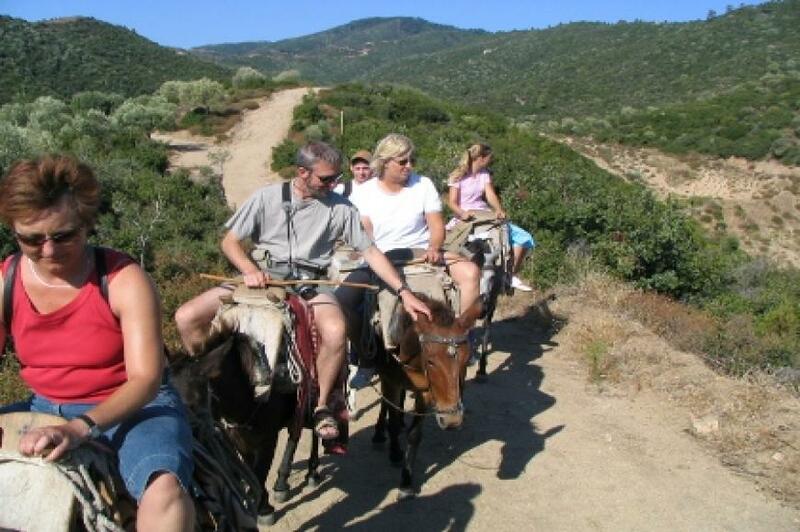 Mule Riding let’s say? 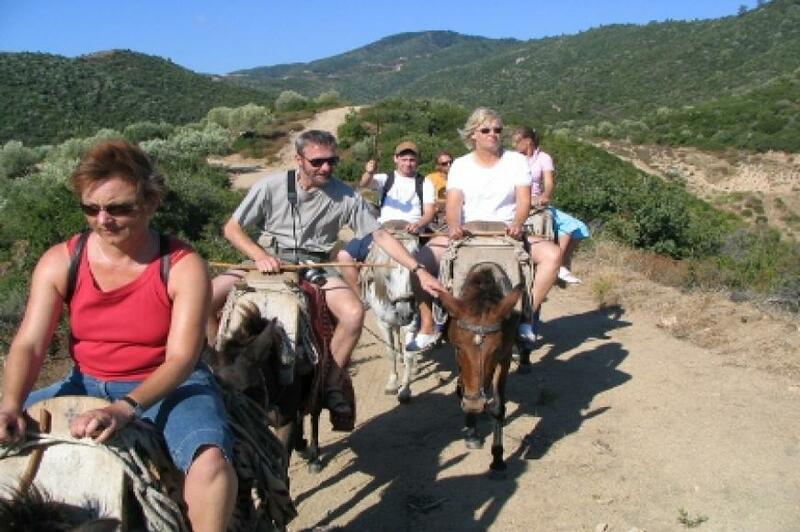 Sithonia is the second leg of Halkidiki and one think that makes it more adorable than the other two is its amazing full of Green covered hills .One Mule riding tour will be enough to convince you about it. 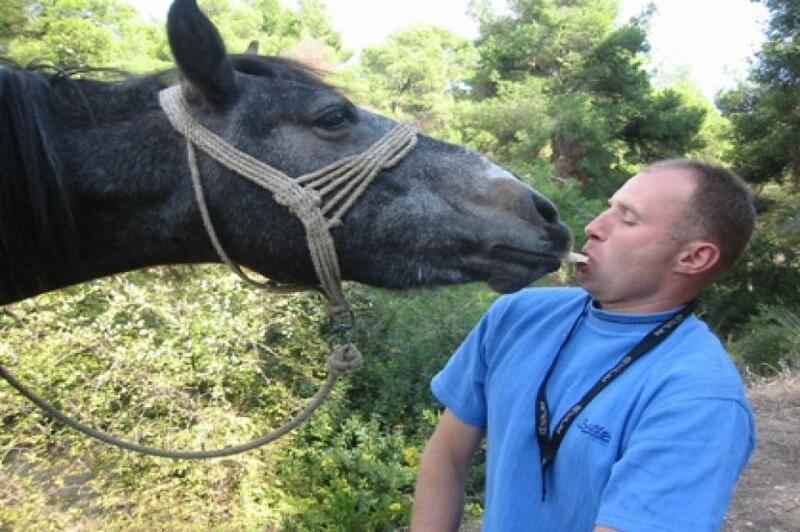 Who would be more capable rather than our experienced partner Christos and his Mules. Meeting point arranged and from there the journey begins . 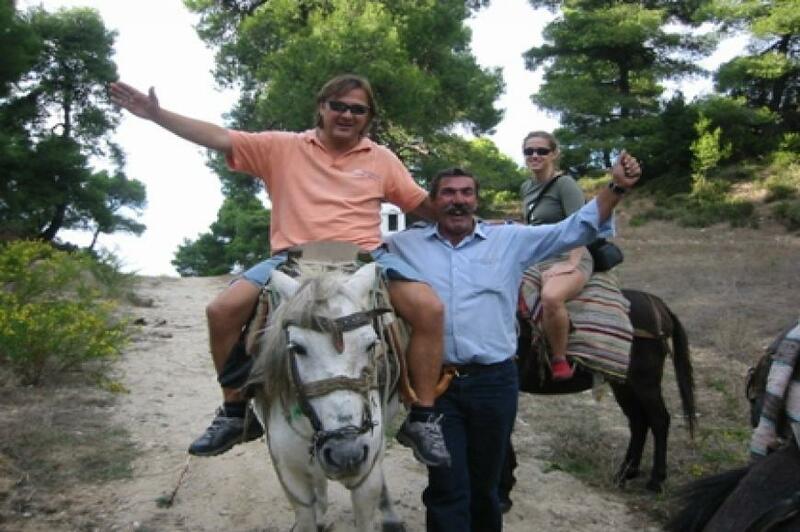 Going up on the mountains enjoying the nature along with the amazing view hearing stories from Christos and meeting new places to which you could never gain access otherwise. 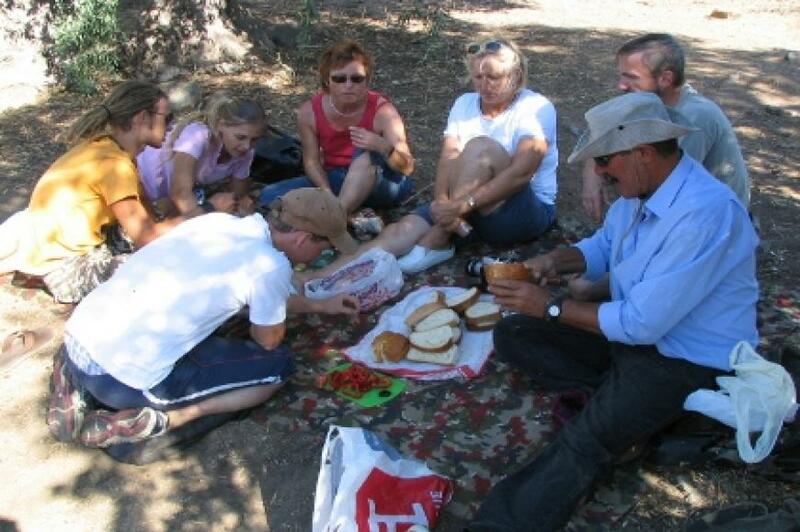 A small stop for a rest but not just a stop .Christos will make sure that your batteries will be one hundred percent charged for the way back by organizing a small picnic for you under the shadow of a beautiful tree. 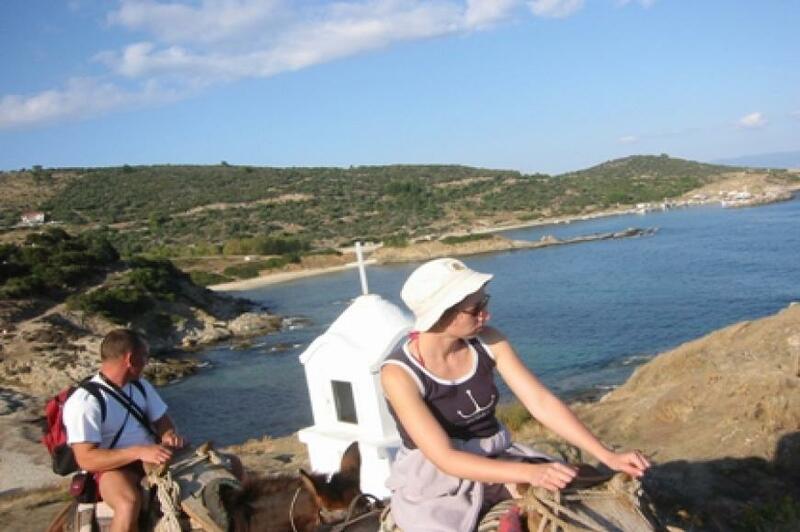 After gaining power the trip for the return begins .Reaching our final destination you say goodbye to Christos and the Mules and go to your room or on the beach full of unforgettable beautiful memories and experiences. Please be at the departure point at least 5 minutes prior to the pick-up time. How To Make A Reservation?